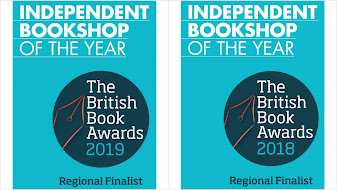 It’s a head-to-head this year for my ‘favourite book of the year’, which is always a good sign that it has been a year of great reading, with some wonderful titles coming through in adult fiction, crime fiction and children’s books. 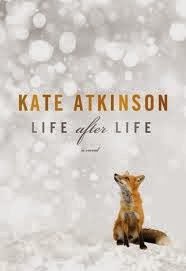 Out in paperback this week is ‘Life After Life’ by Kate Atkinson, which has already marked itself out as a must-read by scooping the first award of the year - taking ‘best novel’ at the Costa Book Awards (nearly 20 years after her debut ‘Behind the Scenes at the Museum’ triumphed in the same prize). ‘Life After Life’ is a feast of a narrative structure – being not so much the story of Ursula, but her many stories. Ursula has many different imagined futures, from circumstances that means she dies within the first few pages, to ones where fate deals her a different hand and she grows and marries. But whatever life path Ursula follows, it’s a life fraught with lurking danger, as Ursula dies frequently – but the upside to this is that this is literature, so she gets a chance to do better each time. There is lots to love about this unusual and complex story – such as characters who appear in different versions of Ursula’s life, moving from bit-part to central role. One of the most satisfying is the narrative on Ursula’s role in World War II as this would have made a satisfying enough story on its own – the heartfelt descriptions of London bombings, each death given as much weight and significance as each of Ursula’s untimely ends. How often have you wondered how differently things might have turned out if you had just done this, or not done that? I love the literary premise to play with this whole idea and allow one character to have many chances to do it better next time around. What a brilliant concept – and also fun to read, which is a remarkable achievement given that the repeated sections of Ursula's life become quite familiar. 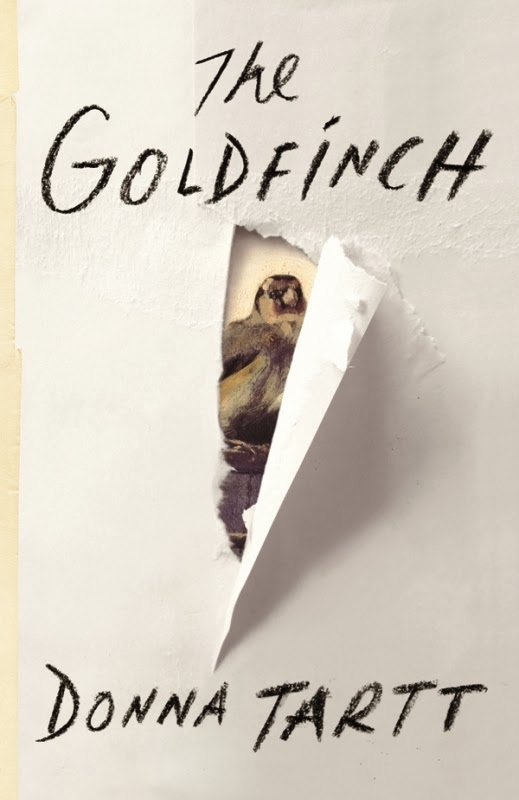 When you’ve waited more than a decade for Donna Tartt to write another novel, it was very satisfying to finally read ‘The Goldfinch’ and it’s hard not to join all those saying how special it is, head and shoulders above everything else I’ve read this year and predicting this will be the one to scoop all the awards over the coming year. In ‘The Goldfinch’ you can discover a dazzling, Dickensian read, akin to Pip’s journey in ‘Great Expectation’. A modern fable about the highs and lows and essential randomness of modern life, with success just one slip away from failure and any number of people living lives of quiet desperation, just hoping that things will just somehow all turn out all right. Theo’s journey into much-admired gloss and success is swift and spectacular. But without a centre to his world (the grief at the loss of his mother in the early pages is always present), his judgement and moral values are utterly adrift. His life empty and inexplicable and steering closer and closer to the criminal. 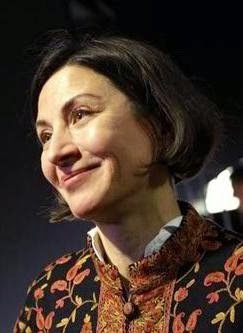 With dips into philosophy about the human condition, philosophy on the value of art, instruction on the forging of antiques; even the detail of the effects of serious dependency on prescription drugs, the journey leaves you feeling in awe of Donna Tartt’s ability to be so precise and so compelling and to make you want to stay with her for every word, not even drawing away or skipping ahead when she’s simply describing a room. It’s also, simply, a good story. The plot twists its way through unexpected reversals of fortune, unexpected kindnesses and equally devastating let-downs. It cranks up into being a fully-fledged edge-of-the-seat thriller. You hope friends won’t let Theo down again, but you fear the opposite. It may be tangled and complex and about lots of very big things. But fundamentally, I was left with a feeling that it’s about friendship. And that if you have one person in your life who’ll take a bullet for you, in the end, you haven’t done too bad. Please don’t make us wait another eleven years to read another. 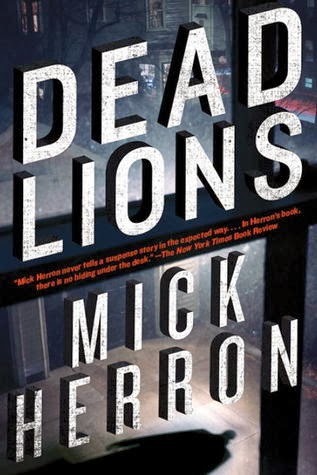 From one big-stage thriller to another that’s a bit more slow-burn and a very pleasurable read and a romp, Mick Herron’s ‘Dead Lions’ was this year’s perhaps surprise winner of the Crime Fiction Gold Dagger for best crime book of the year. It centres on a disparate team of spies who have been put out to grass (and has been likened to the hit television show ‘New Tricks’). There is much fun in a bunch of characters who are bickering over whose career is the most derailed and seeing them slowly return to life as they realise they may be right in the centre of something big. As they start to sniff a chance to claw their way back to glory - can they work as a team and remember those skills they used to have? This is fun writing and a really complex, well-thought through plot, where lots of seemingly random threads only slowly build up to make a coherent picture. It reminded me a lot of the late Reginald Hill’s Dalziel and Pascoe series, with trails going all over the place until you start to wake up yourself to what is actually happening. It’s also got that trademark of Hill’s – witty, intelligent writing and prose that is just really enjoyable to read. Great stuff. 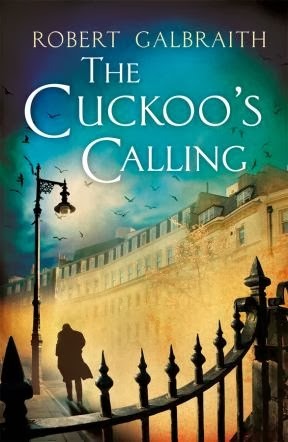 In all the circus surrounding the revelation that Robert Galbraith was none other than JK Rowling, it was easy to overlook the fact that ‘The Cuckoo's Calling’ was a terrific crime novel in the traditional style – a private eye taken on to challenge the police conclusion that a model committed suicide. 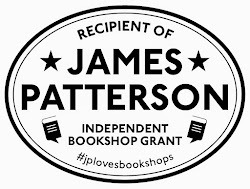 Never taking no for an answer, former military man-turned gumshoe Cormorant Strike, navigates the unfamiliar world of fashion, making for a likeable sleuth in his determination to look past her wealth and success and to bring justice for Lula Landry, a successful, yet troubled woman. His investigation is a dogged round of interviews, sieving for inconsistencies, getting under the skin of vividly drawn suspects and witnesses and never giving up, and makes for an intelligent, intriguing and satisfying read. Give me a cerebral plot with a satisfying, properly thought-through ending you couldn’t see coming purely through the strength of the storytelling and I am a happy woman. It was also a good year for children's books, notable in a welcome increase in the number of illustrated books for older children. Hear, hear for this. A book that is a joy to look at and hold, as well as to read? What a good idea. 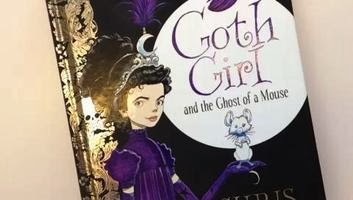 Chris Riddell’s ‘Goth Girl’ is enhanced by it’s eye-catching design; even so it’s probably the glorious literary references that will have parents fighting over whether they get to read this with their children. Ada Goth lives in Ghastly-Gorm Hall with its Secret Garden, its Even-More-Secret Garden, Unstable Stables and a host of literary visitors (Mary Shellfish, the distinguished lady novelist, arrives to stay at a house party) who come to visit poet Lord Goth. Is there a dastardly plot to foil his literary career? 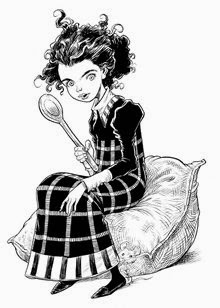 Chris Riddell’s drawings are as generous as the literary references (even the ghost mouse gets his own version of 'Gulliver’s Travels’) and the whole thing is an absolute joy. It probably won’t be an enormous surprise to learn that one of my favourite children’s reads of the year was actually a mystery story. 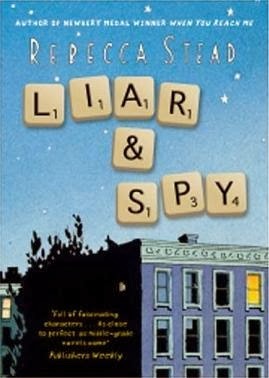 In Rebecca Stead’s ‘Liar & Spy’ Georges moves house and meets a new friend, Safer, who has suspicions about one of the neighbours. The pair get involved in all sorts of surveillance trying to work out what the neighbour is up to. It’s all very intriguing, and then things start to get a little darker, motives and friendships questioned. There is more going on than meets the eye in this short, yet quirky story, which is also a great lesson about standing up for ourselves. Why do we let the bullies make up the rules and why do we play them, is the central question of this really delightful and intriguing tale which is never short on surprises. 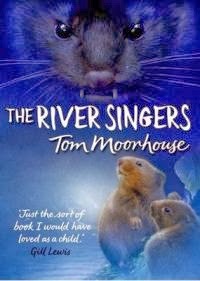 Finally, Tom Moorhouse's 'The River Singers' is another book with high production values, wonderful illustrations and a great story set in the modern day with endangered water voles as its main characters. This unusual but exciting story manages to draw attention to the genuine plight of a threatened species by turning the story into a thrilling adventure and a quest for safety in the shadow of a real-life threat. And that, in the end, is what storytelling is all about.